06 Şubat 2019 Çarşamba 07:01 - 16 reads. this is the sound of the reaction from the Dutch journalist Eric Smit, after he has involuntarily been drawn into the Falck scandal. 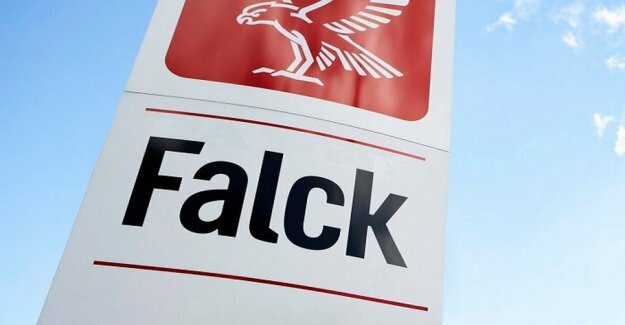 Monday was Falck reported to the police by the Competition council in order to use hidden channels to denigrate the Dutch competitor Bios, since the company in 2014 won a large tender for ambulance services in the Region of southern denmark. Eric Smit and gravermediet Follow The Money has helped to supply dirt to their Own smear campaign against the Bios, and it irks them. - I have in 20 years working to expose big business in cheating and manipulation. Now I'm even in the middle of a big case, where I have been utilized to manipulate. We regard ourselves as the victims in the case, says Eric Smit DR News. He was in 2014 contacted by the Danish journalist and communications consultant Palle Smed. A blacksmith, presented himself according to Smit as a journalist with an interest in the Bios, which had just won the tender in southern denmark. - We said ok, that's fine, but who pays for our researchrapport? Pallet Blacksmith told that the "3F pay me and I pay you". It sounded plausible. So we started digging in the Bios the Netherlands, says Eric Smith. He sent in 2015 researchrapporten to the Pallet slammed into the belief that 3F would use the research to write a story about the Bios in the Magazine 3F. Palle Smed has a past as editor-in-chief of the magazine, but at 3F rejects the man, that he worked for the union at that time. In a written reply to DR News, says the head of communications in 3F Thomas Hundsbæk, that if the DR information is correct, all the indications are that fagbladets name and journalistic credibility has been abused to get Dutch journalists to dig into specific cases. Of the Danish Competition council decision it also appears that it was Falck, who paid the Eric Smit to dig dirt up on the Bios. - It is a shock that we ultimately were employed by Falck to dig dirt up on the competitor. We don't work for companies and feel really cheated, says Eric Smit DR News. He will now go the matter with a lawyer to see if there may be claims against the Pallet Blacksmith or Falck. Pallet Blacksmith refuses to comment on the matter over for DR News, while Falck in a written response to apologize. - As In the present case, I understand, if the Dutch journalists feel abused. I would like to say "sorry", if it is, as In presenting it, said Kaspar Bach Habersaat, who is vice president in Falck.